Legal Project Management is the discipline of managing resources to bring about the successful completion of the specific goals of a legal case, while honoring the constraints of the matter -- such as time, money, and the status of relevant law. Legal Project Management is the discipline of managing resources to bring about the successful completion of the specific goals of a legal case, while honoring the constraints of the matter -- such as time, money, and the status of relevant law. 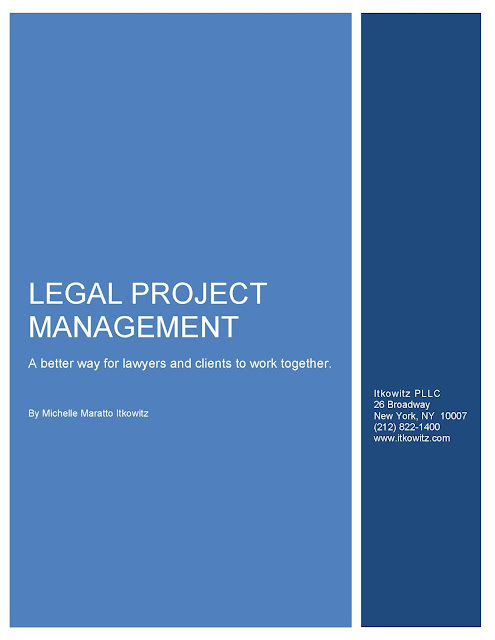 Read our free E-Book on Legal Project Management!